Milan Design Week 2019: Discover The Best Design Inspiration (Part II) – Let’s continue our journey through the highlights of the incredible Milan Design Week …This time we are going to tell you all about the top design events that are full of inspirational design ideas! Here, you can expect to see a wide variety of interior design product, especially in the incredible Salone del Mobile. Now that we revealed the top design districts on Milan Design Week 2019, is time to get to know the best interior design events that will bring the ultimate design inspiration for your next interior design project… In each and every one of these design events, you’ll find the top interior design brands as well as their best trendiest collections. Save the date: from the 9th to 14th of April live the ultimate design experience with the top interior designers. This year is going to be the 58th edition of the Salone Internazionale del Mobile. This design tradeshow showcases the design and furnishing from yesterday, today and tomorrow. Considered as a global platform for truly top-notch products with an emphasis on innovation, the design event has more than 330,000 attendees on average, every year, from 165 different nations. Every year the most famous luxury brands like Kartell, Dedon, Cappellini, Giorgetti, Moroso, Porada, Antoniolupi, Extremis, Kettal, Swarovski, Moooi, Luxury Living Group introduce their own perceptions of design and craftsmanship, through his incredible collections! This year, the renowned Portuguese design company, Covet House will have a mega exhibition space which will feature iconic from successful design brands, namely Boca do Lobo, Maison Valentina, Essential Home, Luxxu, Circu, Rug’Society, Pullcast, Foogo, among others. 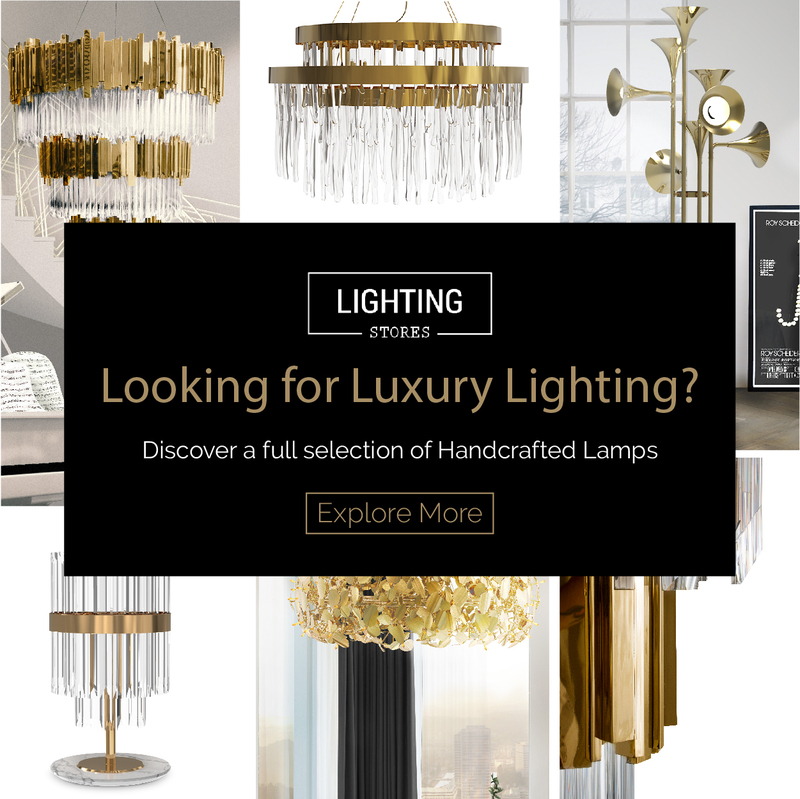 With more than 480 of the best exhibitors in the sector, the International Lighting Exhibition presents the most innovative solutions in the field of light for interiors and exteriors. This is recognized as the global benchmark lighting exhibition, where technological innovation design culture and eco-sustainability energy takes the center stage in the decorative and the lighting technology sectors. More than just an exhibition, this incredible space is the starting point for stimulating forward-looking ideas capable of catering to a changing market and changing needs. Devoted to design and technology in workspace planning, this innovative workspace confirms its new vocation as an exploration of brand-new approaches, forms, and solutions to the workplace “of the future”, in which the human factor and smart technologies have a vital role to play. This is the place where the young interior designers can show their creative potential because many of the prototypes presented in the previous editions have gone into production. Most of the 10,000 designers who have taken part over the years, along with 270 international design schools, are now big names on the design industry. The stand out of this area is the SaloneSatellite Award is a further opportunity to facilitate contact between young designers and businesses. This design event is the set of activities that are distributed in different areas of Milan on the same days when the Salone Internazionale del Mobile. Divided into multiple design districts, this event showcases the new collection 0f luxury brands and designs and also host special exhibitions with live music and entertainment for a totally unmissable soiree. Young and talented designers from all over the world pack their innovative creations and come to Milan, rent one of the city’s garages from locals, and show their prototypes to a curious and cultivated audience, now, take a look at five of the best design districts that completely light up Milan during this time. The design event is all about showcasing museum-like installations, national pavilions, thematic projects, solo or collective exhibitions, large consolidate companies but also young innovative companies, start-ups, and independent authors. With over 13,000 sq.mt of exhibiting spaces, this extraordinary event gathers over 100,000 visitors and over 2,000 registered journalists. This international design competition has provided the chance of a lifetime for young interior designers to win the prestigious award for innovative design excellence.